Cincinnati Reds: If Scott Rolen Doesn't Retire, What Will the Reds Do with Him? According to Jayson Stark, Cincinnati Reds third baseman Scott Rolen has said that he may still want to play in 2013. Stark also said that the Reds "would like him back in some role." What type of role would that be—backup third baseman, infield coach or possibly player-coach? Those are the questions concerning Rolen's possible decision to not ride into the sunset. The keys to third base have apparently been handed over to Todd Frazier. “Right now, Frazier would be penciled in as our third baseman next year,” general manager Walt Jocketty said, via Mark Sheldon of MLB.com. Rolen has always been a starter and is probably sitting on a Hall of Fame career if it is over now. If he makes the decision to amble on, it could be detrimental to that possibility. At best, most onlookers have him on the fence in regards to a Cooperstown ending. I am on his side in that skirmish but I may change my tune if he refuses to give up. That is a hard fact that too many players cannot accept. It is difficult to step back, take a look and say, "That's it, I am done." If he stays on with the Reds in 2013 as a player, what does it mean to the rest of the team? If Frazier is going to be the third basemen, he doesn't need anyone looking over his shoulder. If Rolen were to play third base, you probably could not get 75 games out of him, so what would be the purpose? Cohesion is what the team needs, not some type of drama. Putting Rolen at third and moving Frazier to left would not be an ideal twist. 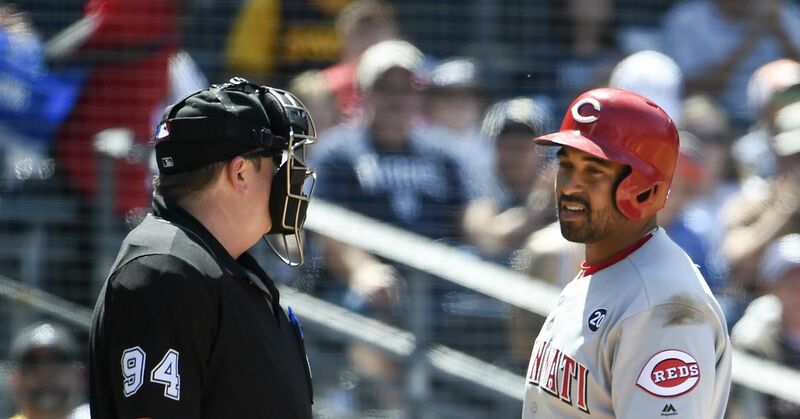 Frazier proved his ability to be maneuverable last season, filling in all of those games at first for Joey Votto. Don't look at this as a quick fix to the search for an outfielder. Frazier is not, I repeat not your everyday left fielder. Putting Frazier in left field would do nothing for the battle between Chris Heisey and Drew Stubbs. Unless of course, you think the Reds should move Stubbs or at least demote him in favor of Heisey in center field. I think Rolen would be good as a full-time coach, not a player-coach. He has much to teach Frazier and others on the left side of the infield. Perhaps he would be a good candidate for a managerial job down the road. Rolen's indecision about retiring should have no effect on the team's search for an outfielder. I would personally like to see Ryan Ludwick back for another season in left field. Apparently the Muckety-mucks in the front office are still thinking about people like Shane Victorino, Austin Kearns and even Scott Podsednik. All three are most likely on the sunset side of their careers. With the exception of Victorino, the question becomes a non sequitur. Considering the future of the organization it becomes apparent that speedster Billy Hamilton is being groomed to become the center fielder, perhaps as early as 2014. That being said. the future of Drew Stubbs looks very shadowy, for sure. He still hasn't learned how to hit after a few years as the Reds' starting center fielder. Is it time for him to go? In conclusion, the Reds do not need Rolen to come back as a player. If they have other options in mind, welcome him, if not wave goodbye as he rides into the sunset.